If you’re cutting fine artwork or fabricating steel parts in a production setting, you will need a plasma machine that will give you the cleanest and fastest cuts possible. 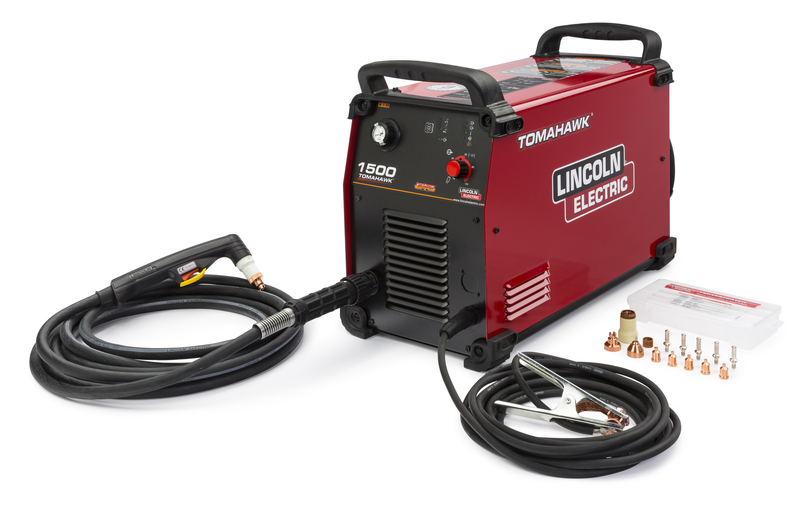 Heavy duty at 100 amps, 60% Duty Cycle, the Tomahawk® 1500 plasma cutting power source brings power and flexibility to hand-held torch cutting applications. 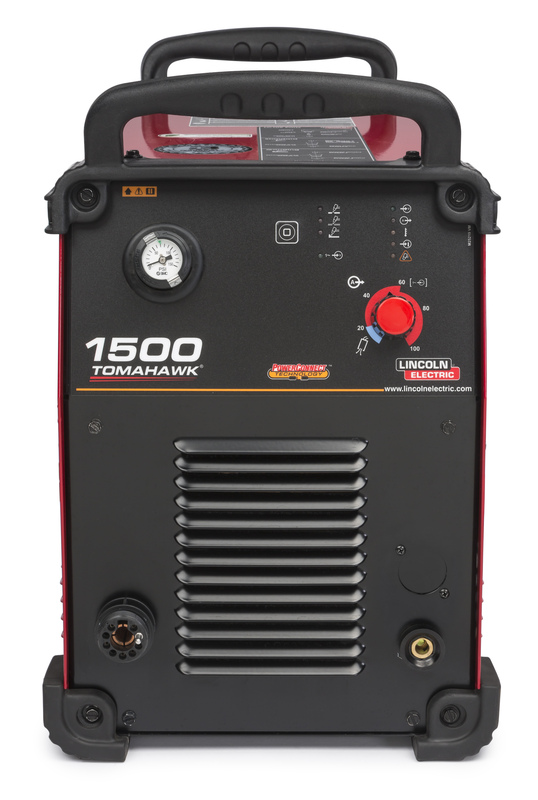 Built-on a proven inverter platform, the Tomahawk 1500 is a constant current, plasma cutting power source that delivers faster cut speeds, optimal cut performance, and durability. The result is a superior cut with minimal dross – which minimizes the need for a secondary finishing operation. Tomahawk initiates the plasma arc with a simple yet reliable touch-start mechanism that eliminates many of the failure problems associated with high-frequency start systems. The control system includes a Parts-in-Place™ feature to ensure that the consumables are in place before the cutting or gouging process can be initiated. 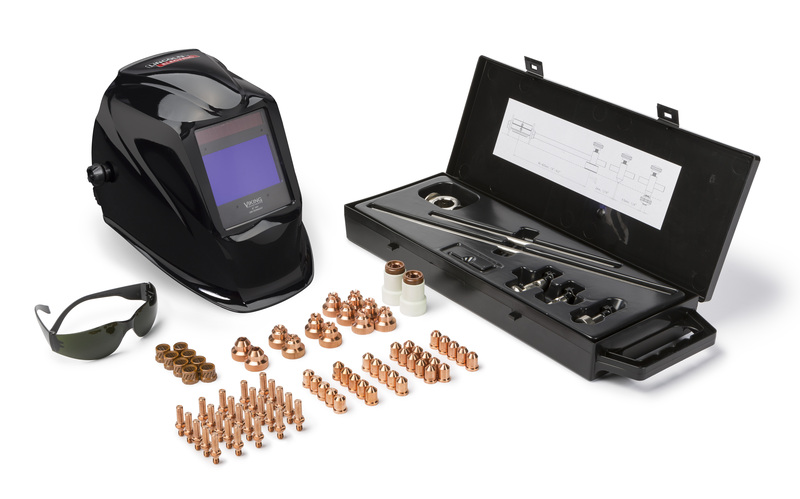 The air regulator and pressure gauge are standard features, and the accompanying hand-held torch and consumable starter kit enables the user to get started right out of the box. If you value cut quality, productivity and lower operating costs, then go ahead and make the cut with Tomahawk 1500. Tomahawk 1500 is designed to deliver. When you’re cutting up to 1 1/4 in. (31.8 mm) material in a hand-held application, you can count on excellent cut quality with faster cutting speeds as compared to oxy-fuel cutting. Regardless of thickness, Tomahawk 1500 delivers superior cut quality, minimizing the need for grinding, edge preparation or other secondary operations. Tomahawk 1500 doesn’t back away from the hard jobs. By delivering perfect arc starts without high frequency, our cutting torch extends consumable life. And the IP23 rating makes Tomahawk 1500 rugged enough for use outdoors as well as indoors. The ergonomic LC105 torch is designed for high-impact resistance and heat resistance, enabling you to manage the toughest cutting jobs with ease and reliability. Tomahawk 1500 is a versatile machine. Choose single-phase or 3-phase, 200 to 575-volt input power for cutting, gouging and grid-cutting tasks. In addition, you have a choice of numerous torch consumables for a wide range of hand-held applications. No matter what the application, it’s portable and rugged enough for both indoor and outdoor use. And when the outdoor work is far afield, it can be used with a compatible engine drive. 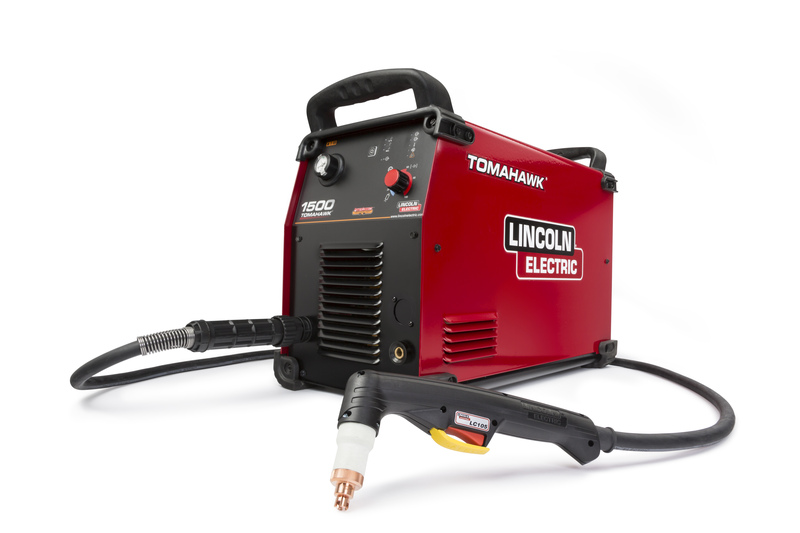 At rated amperage, Tomahawk 1500 provides faster cut speeds with less bevel than the competition. That means more parts, and less rework; keeping your productivity high. It’s easy to set up, easy to use, and it enables faster cuts than oxyfuel technology – all of which adds up to improved productivity. Heavy duty applications enable severance cuts up to 1 1/2 in. (38.1 mm) at maximum output and eliminate the need of preheating in oxy-fuel cutting, thereby reducing labor, time and costs.